EVA Air is the national airline carrier of Taiwan and is a part of the Taiwans Evergreen Marine Corporation which is the biggest container shipping company in the world. The airline company began operations on the 1st July 1991 they have managed to create an extensive global network connecting over 45 cities across Asia, United States, Australasia and Europe. 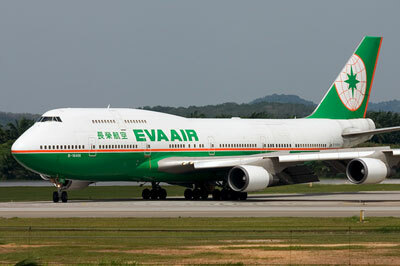 EVA Air is considered to be one of the fastest recorded growths in the history of civil aviation. The airlines has seen rapid growth and increased profits and a safe airline to travel with. With a passenger fleet of 48 aircraft, EVA Air operates 6 scheduled direct flights a week from London Heathrow to Bangkok. In addition to the mainline flight services, EVA Air has also began much expansion in its services list to include air cargo, airline catering, ground handling, aviation engineering, and tour package services. 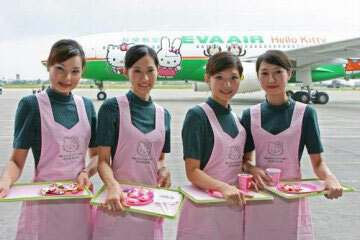 EVA Air owns a domestic and regional subsidiary called UNI Airways. This airline are mainly catered for intra-Taiwanese shorthaul flight network. The major international rival to EVA Air is China Airlines. EVA Air has got a new in-flight entertainment system known as the Star Gallery. This system is made available to all various cabin classes onboard the A330-200 and B777-300ER. A passenger can select either one of three languages - Chinese, English and Japanese. A popular feature is the Audio Video on Demand (AVOD) which passengers can enjoy over 40 movies and short features, play interactive games or browse through a collection of over 100 music albums.